John Bernard Feit waits for the start of the sentencing phase of his trial for the 1960 murder of Irene Garza in the 92nd state District Court Friday, Dec. 8, 2017, at the Hidalgo County Courthouse in Edinburg. 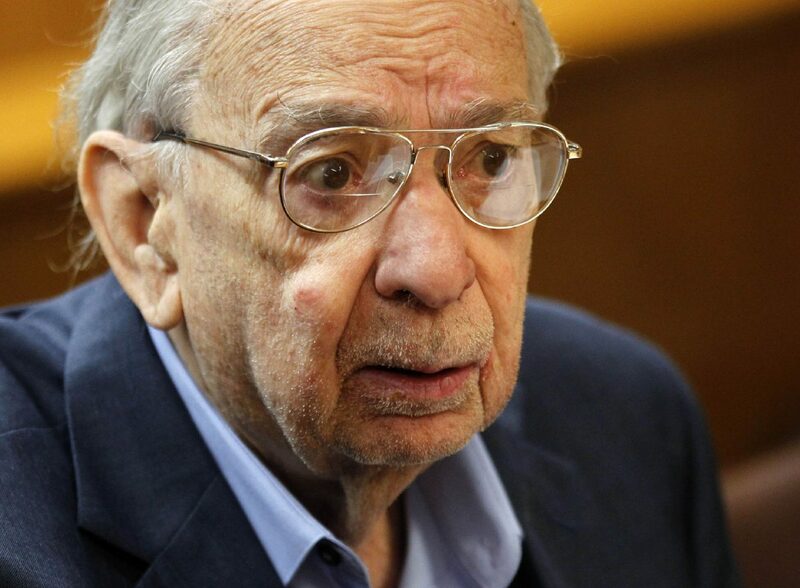 EDINBURG — Former priest John Feit was sentenced to life in prison Friday for the murder of Irene Garza in 1960. Jurors found Feit guilty of murder with malice aforethought, or premeditation, after about six hours of deliberation Thursday. The prosecutor had asked jurors for a 57-year sentence, which represents the length of time Feit has remained free since Garza’s death, while the defense was seeking a supervised release. Feit had elected for the jury to decide his punishment Thursday. Hidalgo County District Attorney Ricardo Rodriguez is expected to hold a news conference a few hours after the sentencing. Staff writers Lorenzo Zazueta-Castro and Molly Smith contributed to this report.